Friday, 5/2, we will go over the assignment for the final exam, and then you will have the remainder of the class session to continue your work as a group. Friday is the last day we will work on the projects in class. Presentations begin on Monday and continue on Wednesday. Remember that by 11:55 PM on Wednesday, 5/7, one member of your group needs to email me the links to your written report and your presentation (and cc everyone else in the group). 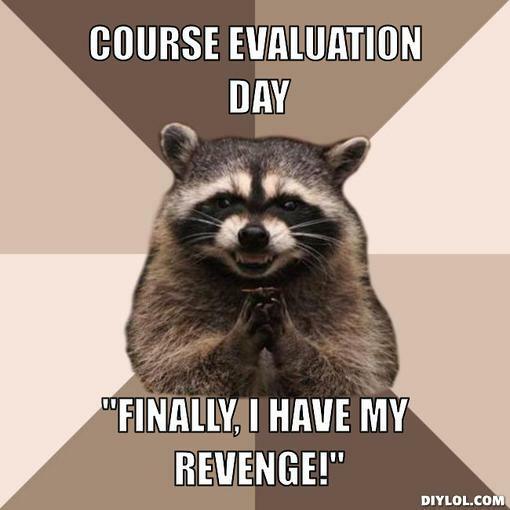 Also by 11:55 PM on Wednesday, 5/7, you need to complete your Individual Evaluation of Group Members (go to Assignments in Scholar and choose P4). There are no grace periods on these deadlines. If you will, please fill out the Student Perceptions of Teaching (SPOT) survey for this course. The feedback helps the department make important decisions about teaching methods, course content, and faculty promotion. Written comments help me decide what to keep or change the next time I teach the course. In many ways, I find the written comments the most helpful part of the evaluation. I do not see the feedback until several weeks after the last day of class, and your comments are anonymous.